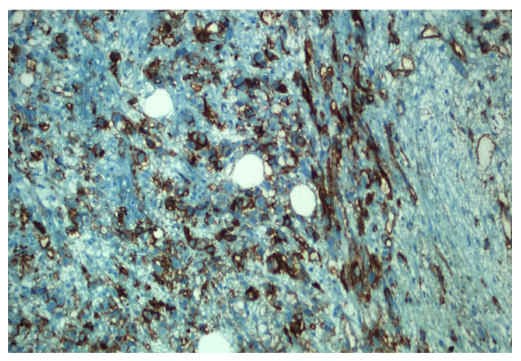 of angiosarcoma was established, the tumor was considered unresectable. The patient received chemotherapy and radiotherapy. The current study presents a rare case of TGCT, and the researchers also conducted a literature review.